Pumpkin and Butternut Squash…OH MY!! It’s fall, and that means pumpkins and squash everywhere!! 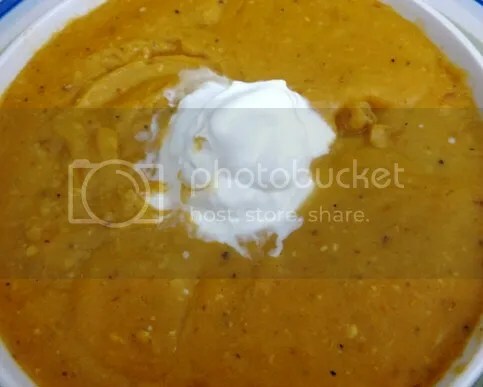 So, I decided to make one of my favourites…Crock Pot Pumpkin and Butternut Squash Soup. The recipe is REALLY simple, but I added vegetables and a cup of rice to beef it up, yet it still retains it’s awesome pumpkin flavour. Serve it with a dollop…or two of sour cream, sprinkle some nutmeg on top (optional) and a really nummy crusty bread…omnomnom! !